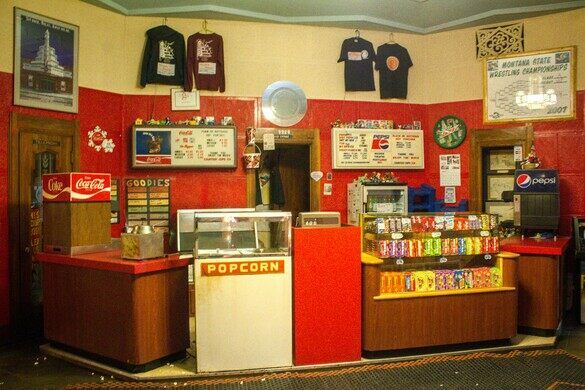 This tiny movie theater was the last one in the U.S. constructed in the Nuevo Deco architectural style. 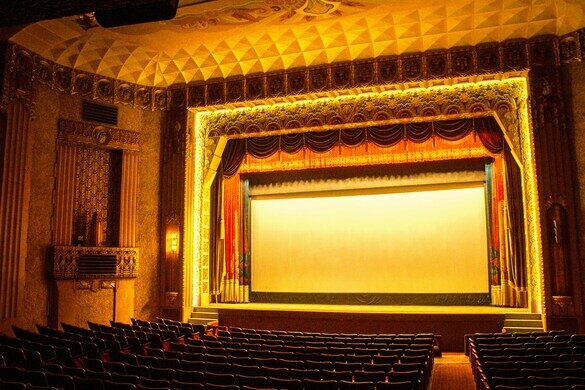 It may only show one movie at a time, but this quaint theater is not to be missed. It was the last theater in the United States constructed in the Nuevo Deco style, a form of Art Deco that also features elements of Art Nouveau. The rocks of a certain area of Butte, Montana give off a musical ring when hit. Modeled after a famous church in Vienna, Austria—but in Helena, Montana. The Washoe Theater was designed circa 1930 by B. Marcus Priteca, the architect of the Hollywood Pantages theater, and built in 1936 during the Great Depression. The space was designed to feature near-perfect acoustics, which was an impressive feat of engineering as the theater opened at a time when films with sound were still relatively new. The space itself is just as much of an attraction as the movies. Its walls boast ornate reliefs and accents. Copper details pay homage to the mining industry that once dominated the city. The curtain, which is made of silk and covered with a painting of deer, is so old and beautiful that workers are hesitant to take it down for cleaning or restoration in case it falls apart. The historic theater sits in the middle of the former mining city of Anaconda. At the beginning of the 20th century, Anaconda was one of the world’s largest processors of copper. As such, it had a hefty population of immigrants working its mines and smelter. The miners were eager to be entertained after a hard day, and the Washoe Theater provided a reprieve from their grueling work. Today, people can still pop into this delightful feature from the city’s past. 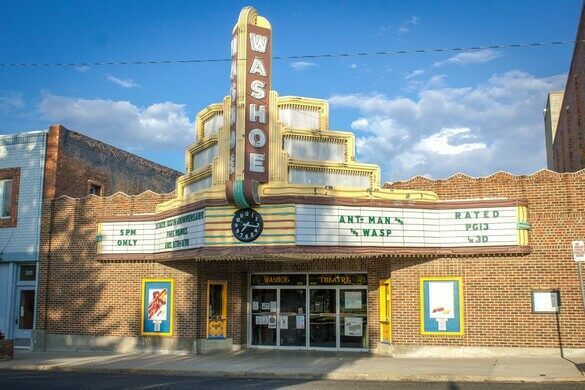 The experience of seeing a movie in such a historic place is a treat for anyone visiting this corner of Montana. Currently, the theater plays the same movie every day for a week, with a single showing Monday through Thursday and two on Friday, Saturday, and Sunday. Tickets are around $5, and refreshments are still reasonably priced. Seating in the balcony costs an extra fifty cents. Check their Facebook page for showings and special events. A smoke stack so large, the Washington Monument could fit inside! A little-visited ghost town state park offers a glimpse into Montana’s "Silver Queen." The oldest continuously-operating Chinese restaurant in the United States has been in business since 1911. New fungal and bacterial species call this deadly lake home. One of the last of the great 1920s movie palaces is a Floridian Greco-Spanish-Persian dreamscape. This 1913 single-screen cinema is a charming survivor in the age of the multiplex. A towering Art Deco movie palace made to look like a Mayan temple. 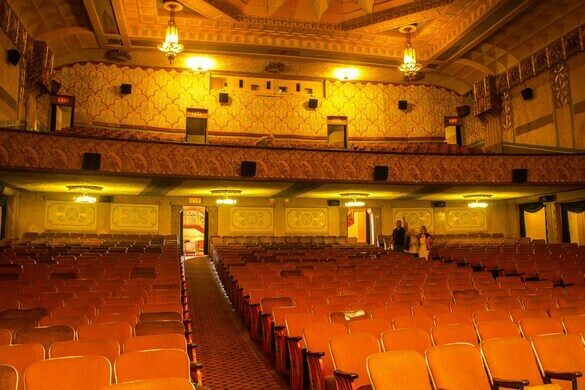 One of the last Jazz Age "Wonder Theaters" in New York City.